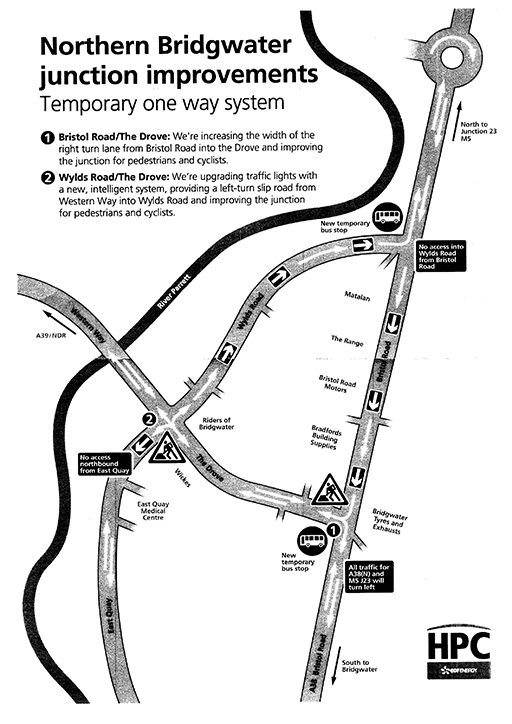 There are currently some major junction improvement roadworks taking place around the Hospital – The Drove, Bristol Road and Wylds Road and a temporary one way system (see map) is causing a certain amount of disruption and delay. Unfortunately it looks like there will be disruption until late summer 2017. Please give yourself plenty of time to get to your appointment. We’ll keep you updated with progress as soon there is any. And do call us for more information if you’re concerned.